The Westin Paris - Vendôme Hotel, Paris, France - Lowest Rate Guaranteed! With a stay at The Westin Paris - Vendôme, you'll be centrally located in Paris, steps from Rue de Rivoli and 5 minutes by foot from Tuileries Garden. 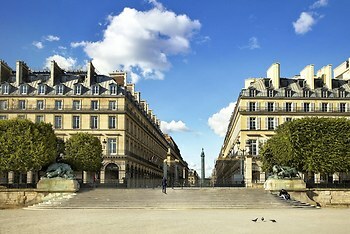 This 4-star hotel is 0.3 mi (0.4 km) from Champs-Elysees and 0.3 mi (0.5 km) from Place de la Concorde. Not the first time a stayed at the westin and for sure not the last time I will. even though renovations were going on at the hotel they were of no nuisance, great hotel, friendly and helpful staff.